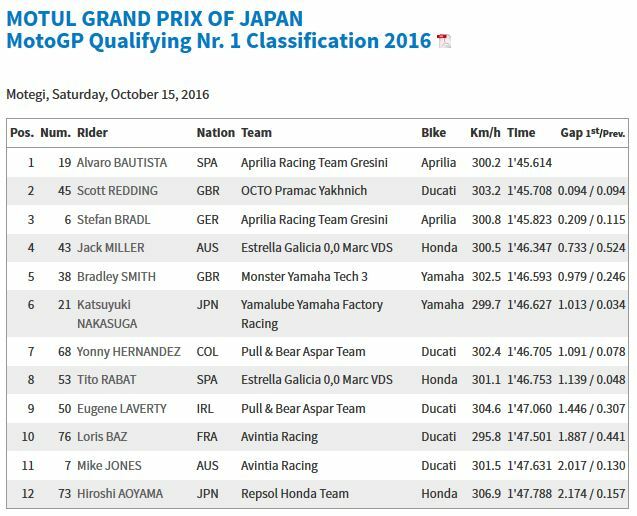 Day 2 at the Twin Ring Motegi was characterised by more somewhat uncharacteristic sunshine, with the venue providing near-perfect conditions as Q2 got underway. 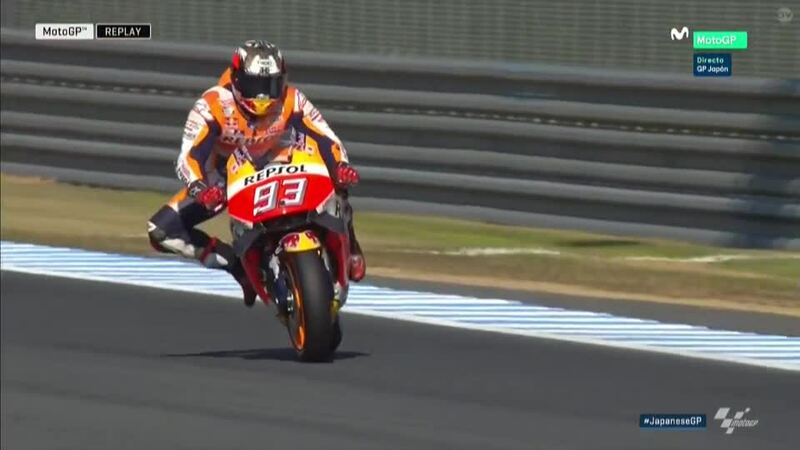 Marquez was the early leader in the session after also going fastest in FP3 and FP4, with the Championship leader then finding himself trailing Rossi on a hot lap and running wide – as the Italian then took over at the top. 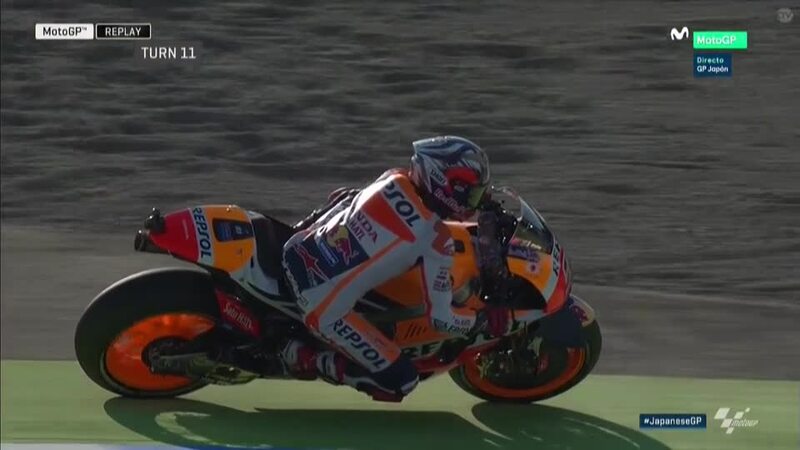 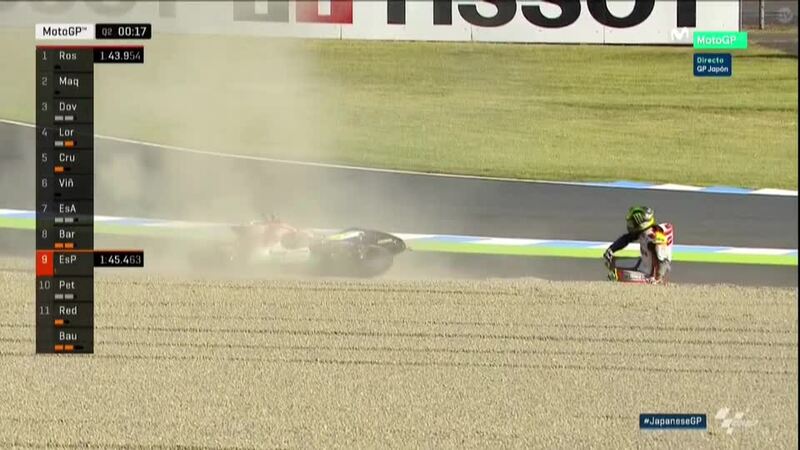 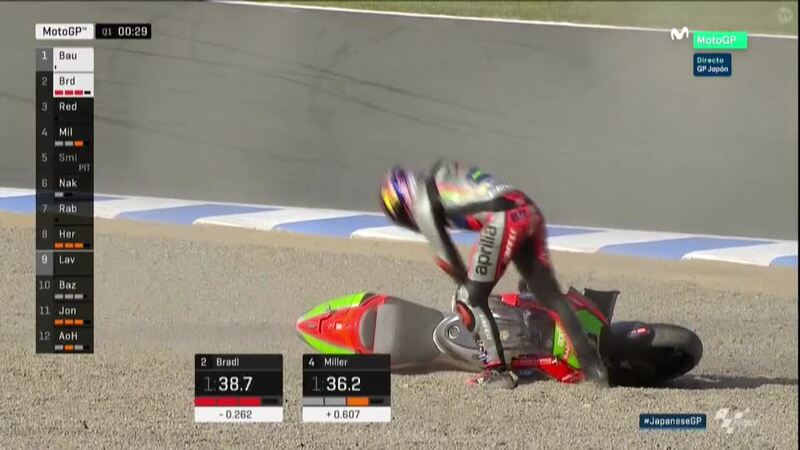 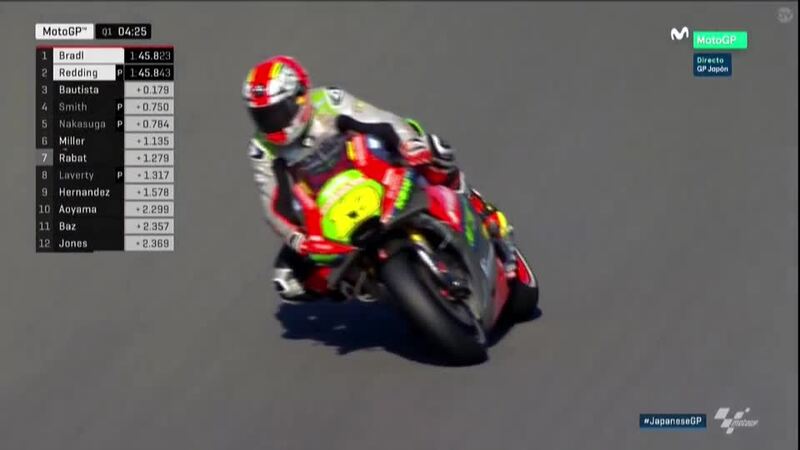 Marquez lost his final attempt after an incident in front of him on track for LCR Honda’s Cal Crutchlow, rolling off and ruing the lost chance. 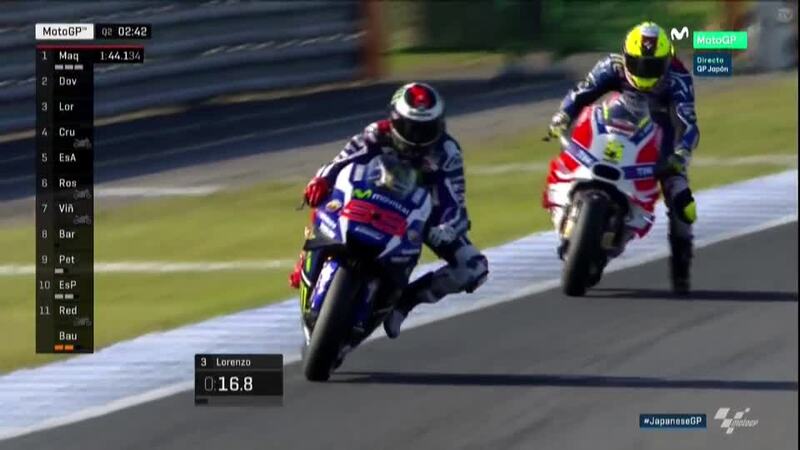 A battered and bruised Lorenzo, following his highside in FP3, came back in stunning ‘Spartan’ style in qualifying to grit his teeth through the pain barrier – something the Mallorcan has previous form in after, most memorably, coming home in the top five at Assen in 2013 after breaking his collarbone on the Thursday. 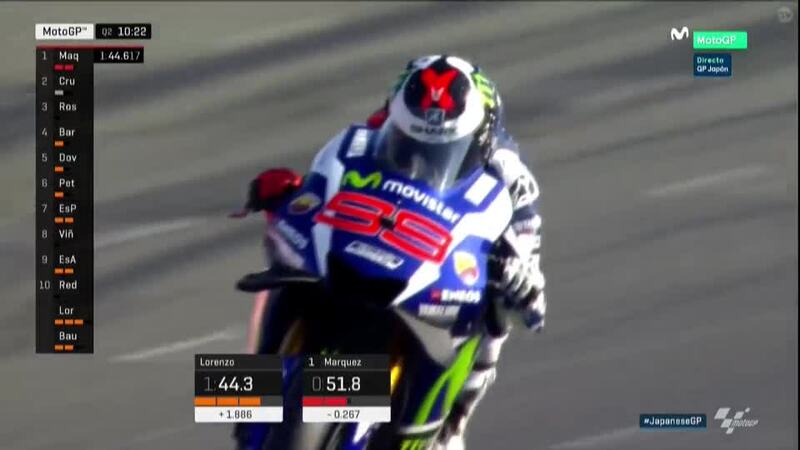 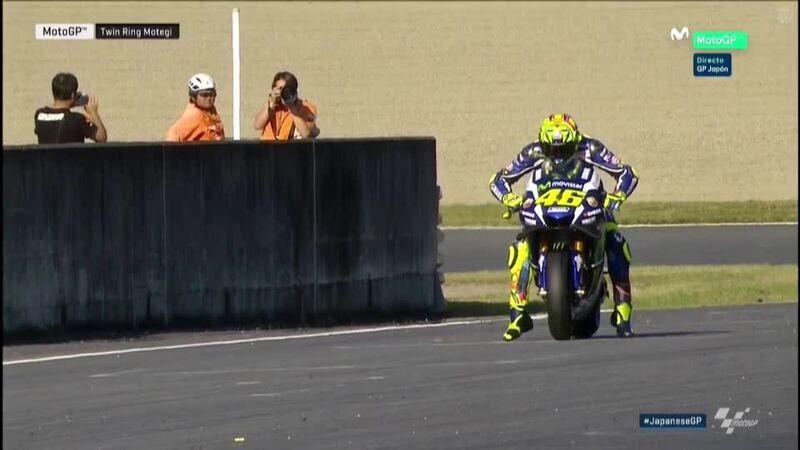 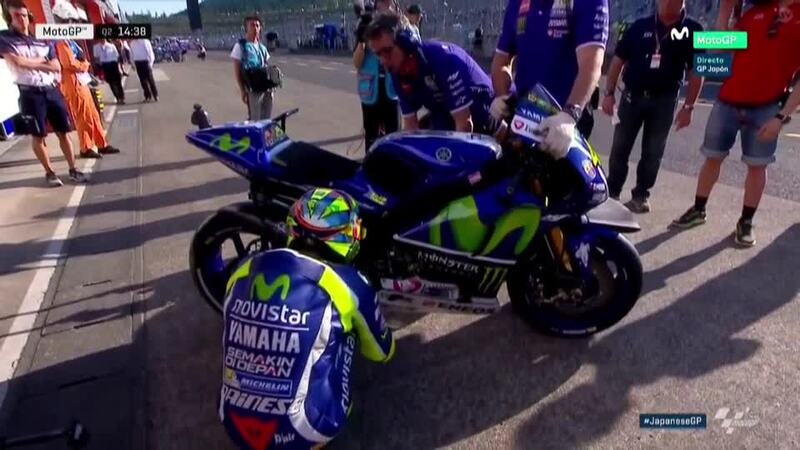 Reigning Champion Lorenzo lines up on the front row in P3. 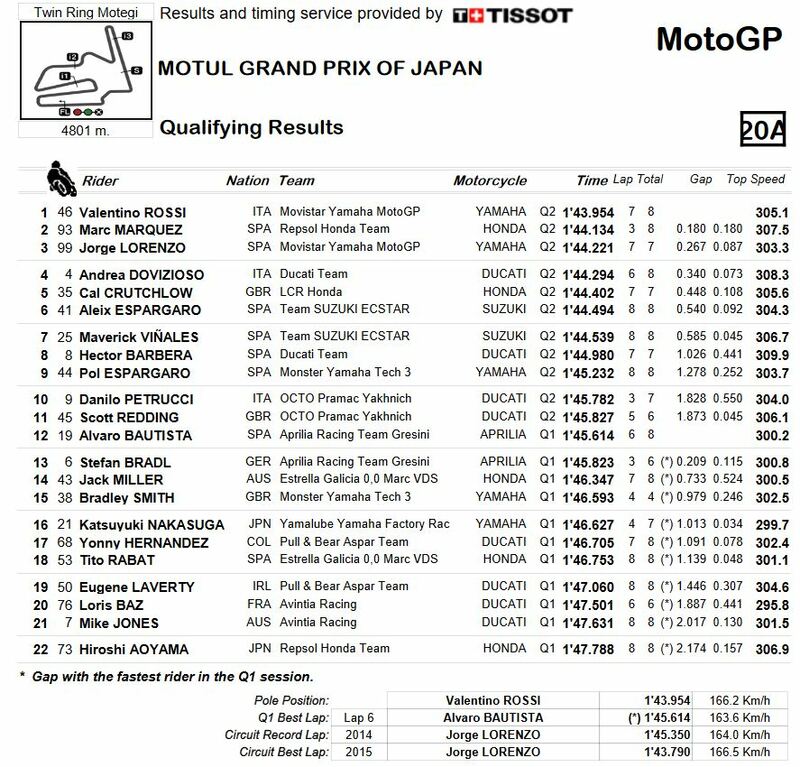 Andrea Dovizioso (Ducati Team) was fourth quickest as the lead bike from the Borgo Panigale factory, with former teammate Crutchlow crashing in the final minutes of the session. 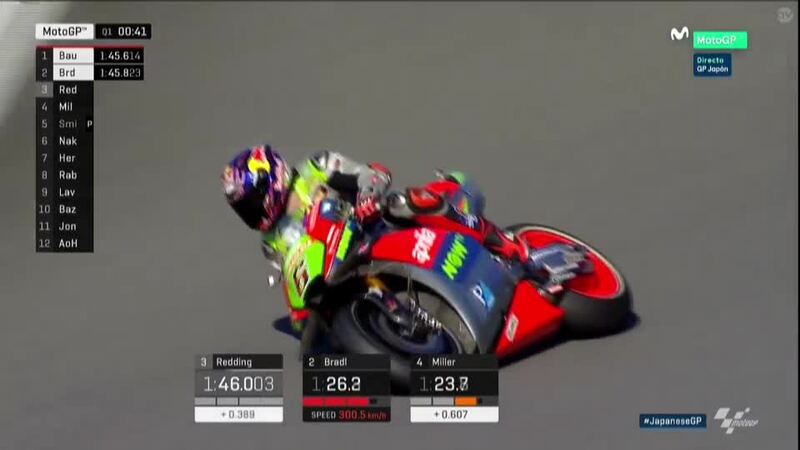 The Brno winner kept P5 on the timesheets to line up on the second row however, with that row completed by Team Suzuki Ecstar’s Aleix Espargaro. 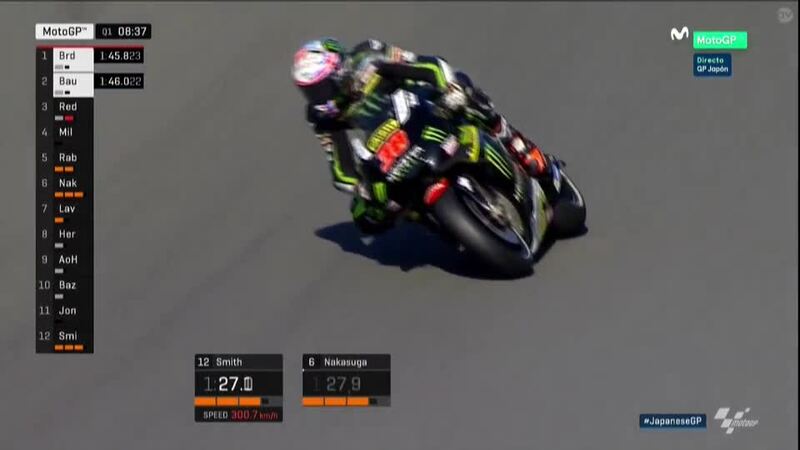 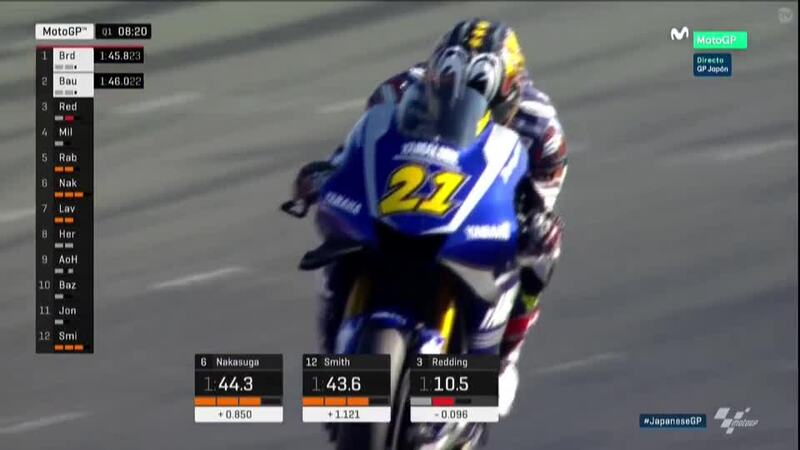 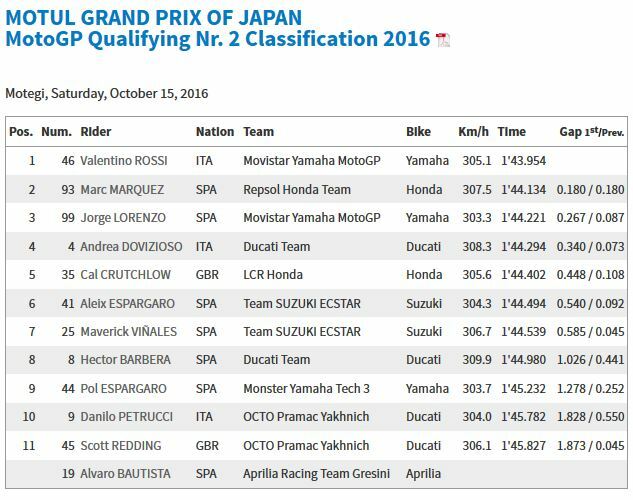 Espargaro outpaced teammate Maverick Viñales at the Hamamatsu factory’s home race, with the younger Spaniard lining up in P7. 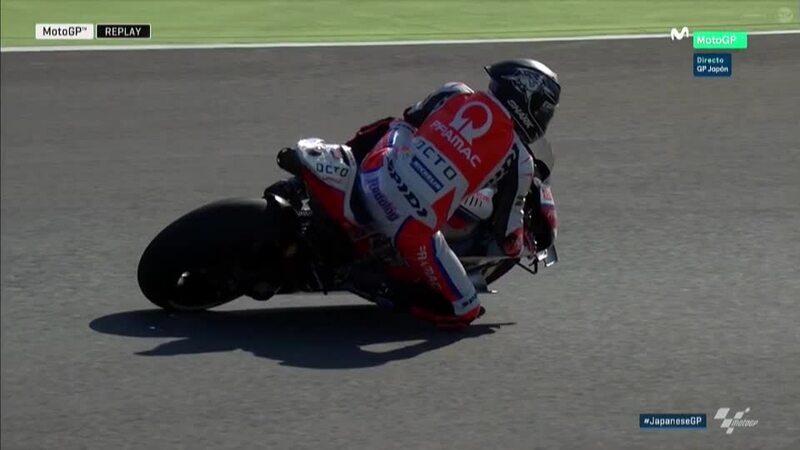 Hector Barbera (Ducati Team) had a solid session as he replaces injured Andrea Iannone to qualify eighth, with Danilo Petrucci (Octo Pramac Yakhnich) and Pol Espargaro (Monster Yamaha Tech 3) completing the top ten. 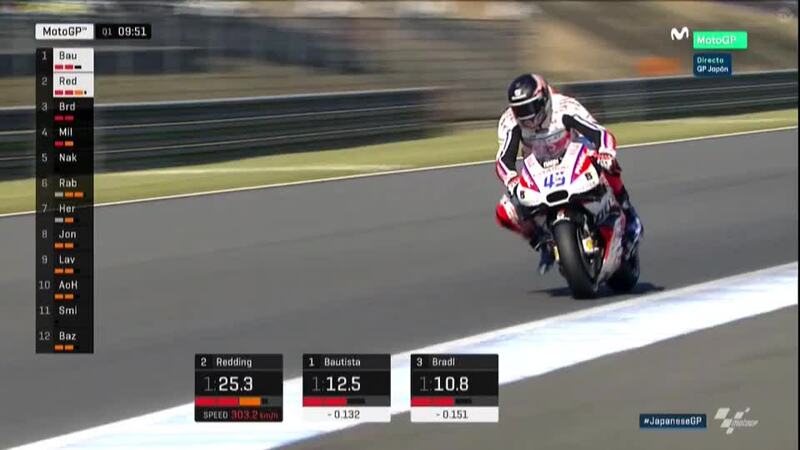 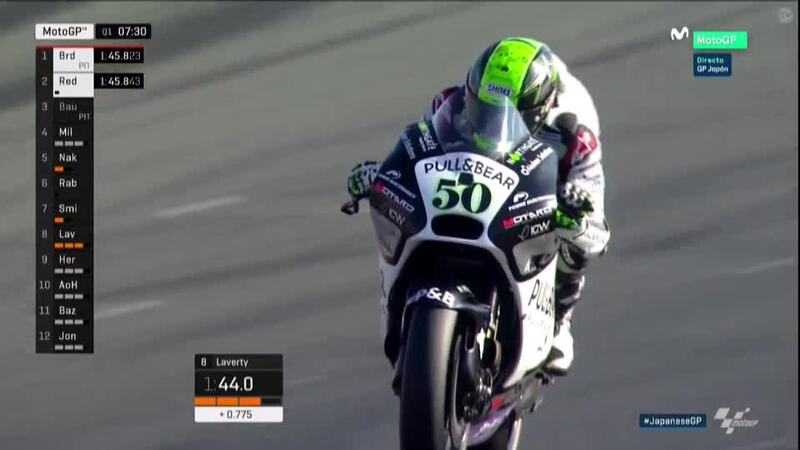 Q1 graduates Alvaro Bautista (Aprilia Racing Team Gresini) and Scott Redding (Octo Pramac Yakhnich) reversed positions in Q2 as the Brit qualified P11, after Bautista suffered a fall early in the session. 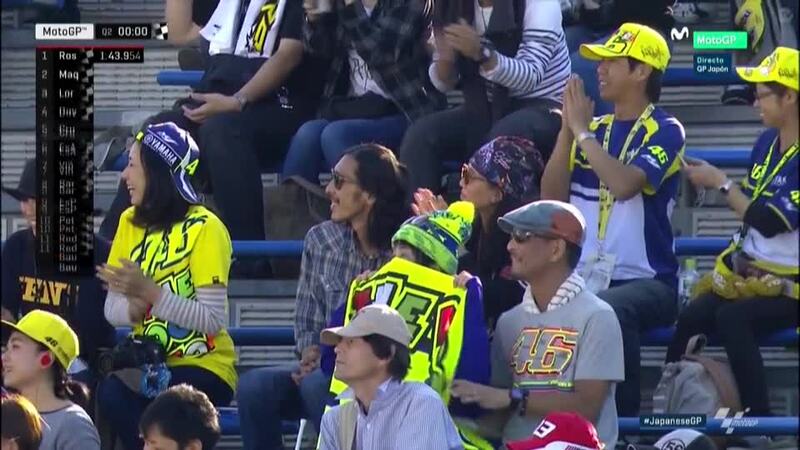 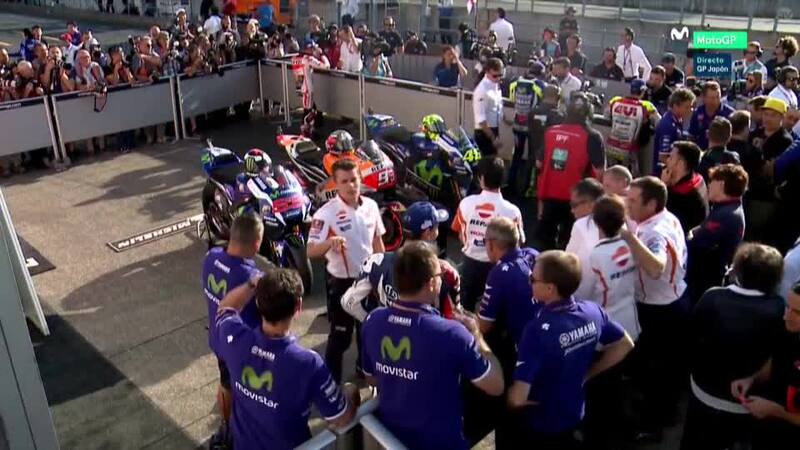 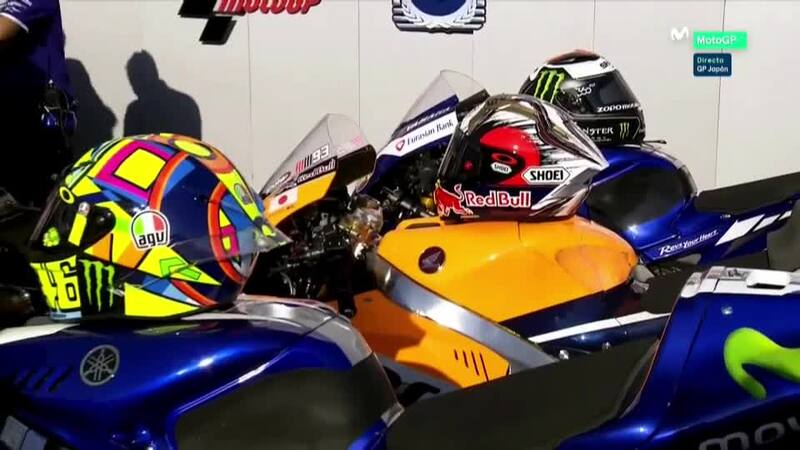 Lights go out for the Motul Grand Prix of Japan at 14:00 local time (GMT +9), as Marquez readies himself for the possibility of taking the title – and Rossi and Lorenzo square up to stop him. 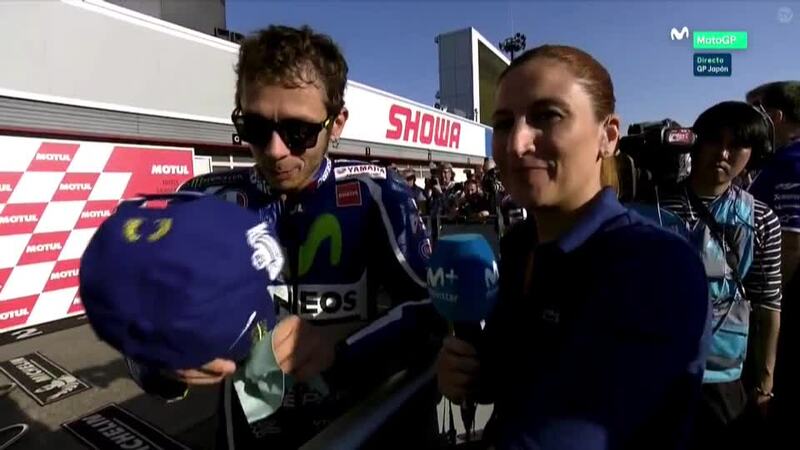 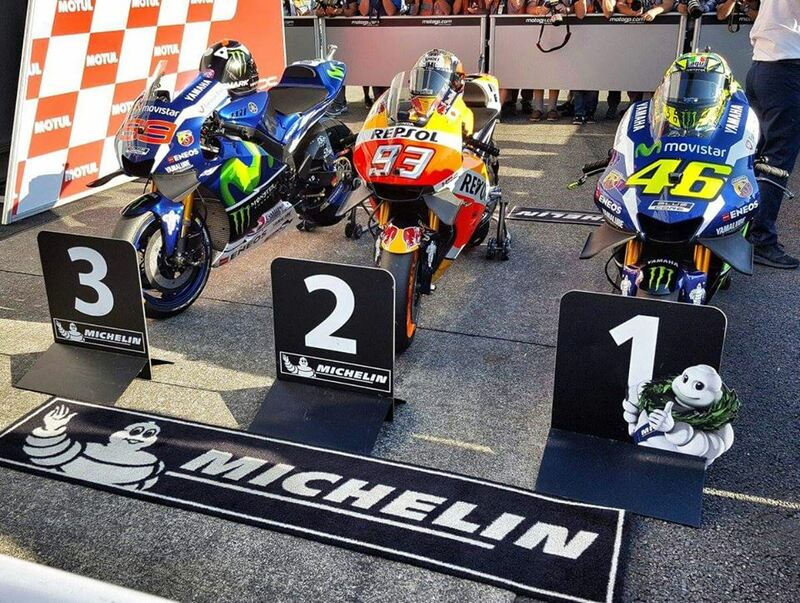 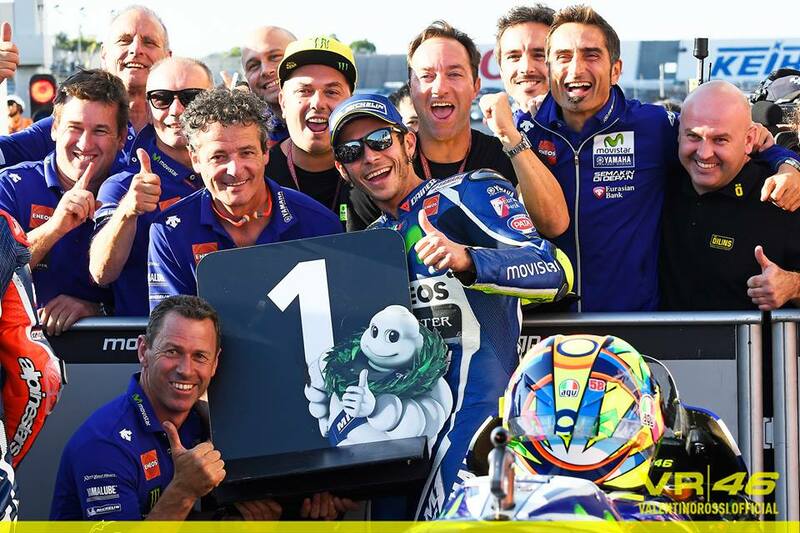 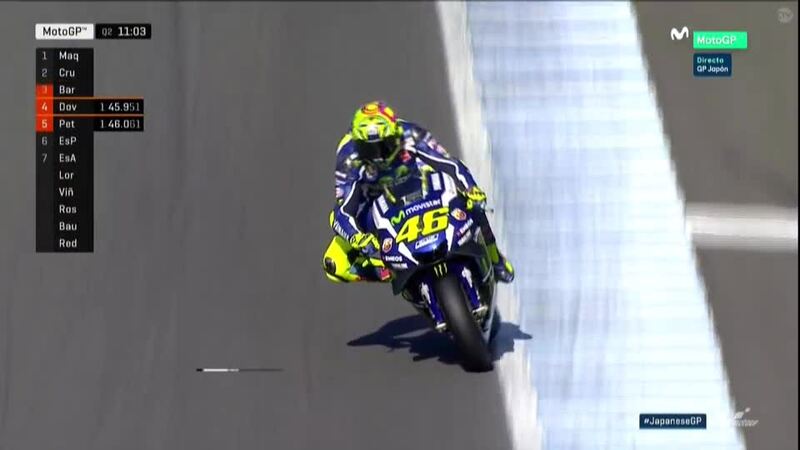 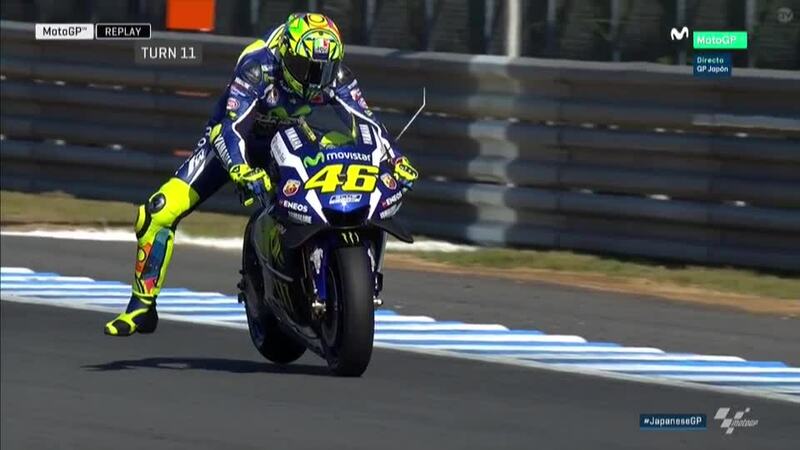 Valentino Rossi (Movistar Yamaha MotoGP) took a stunning 64th career pole at the Twin Ring Motegi, equaling the count of key rivals Marc Marquez (Repsol Honda Team) and Jorge Lorenzo (Movistar Yamaha MotoGP) as he readies for battle in Japan. 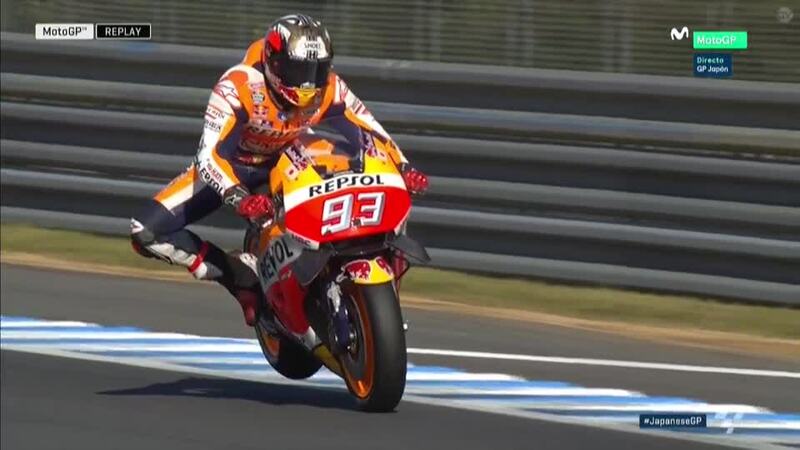 The 9-time World Champion is Marquez’ closest challenger going into the race, 52 points back – and if the Spaniard wins, must score points. 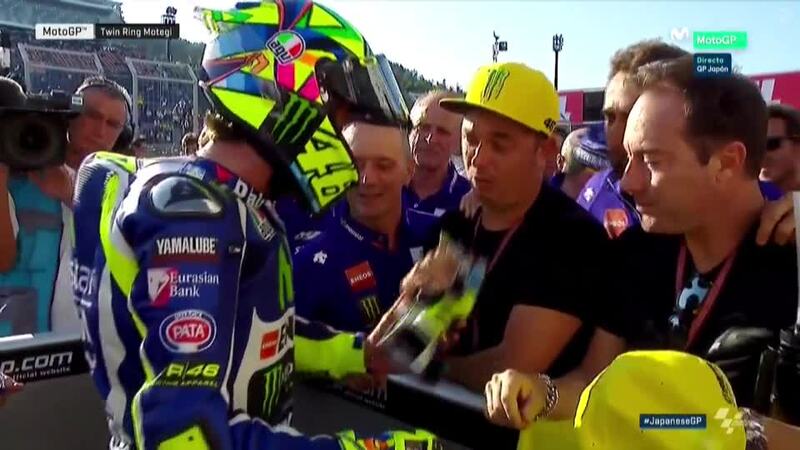 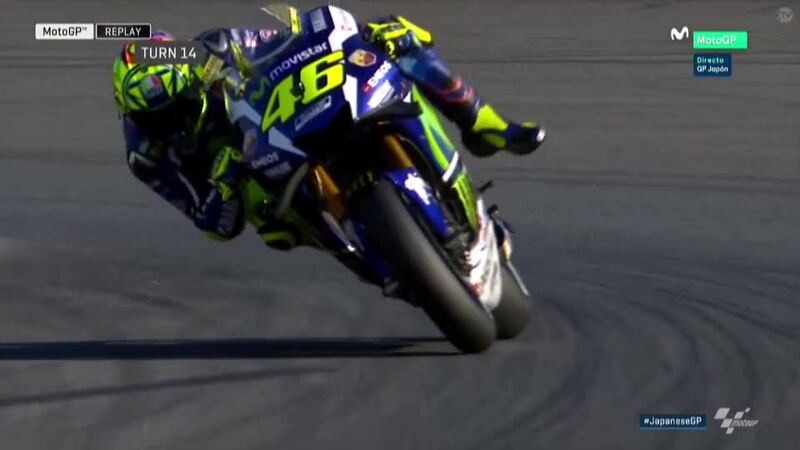 Feeling a little under the weather and having had a more difficult Friday, Rossi feels his pace is slightly less than that of Marquez and Lorenzo – but is a master of the Sunday turnaround and looks to close the gap to fight for the victory.